!Sabor! 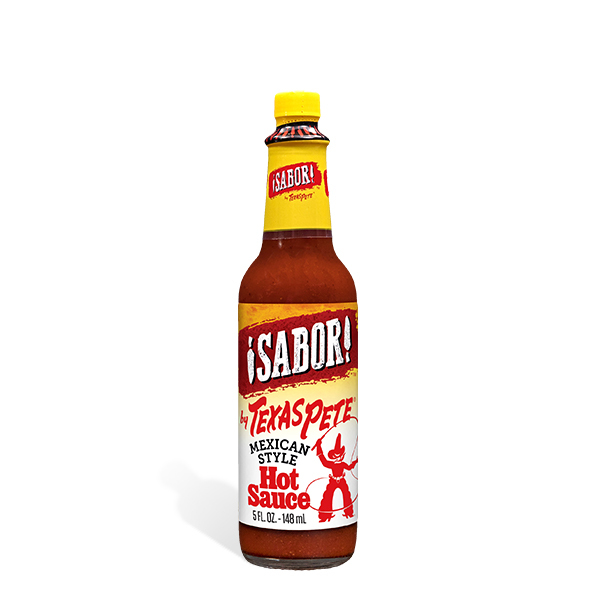 by Texas Pete® Mexican-Style Hot Sauce is a thrill for your taste buds. It adds authentic Mexican flair to your food thanks to its garlicky zest, enhanced with cumin and chili powder. Texas Pete Sautéed Garlic Hot Sauce (Vinegar, Aged Peppers (Peppers, Salt, Vinegar), Water, Xanthan Gum, Benzoate of Soda [To Preserve Freshness and Flavor], Sautéed Garlic Flavor), Chili Powder, Cumin, Sea Salt.